PCOS is one of the most common hormone disorders in teenaged and adult women. It has been seen that one out of every five women almost suffers from this. More and more females suffer from erratic periods, acne, unwanted facial hair and. 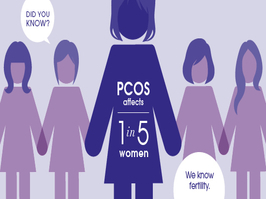 The chief cause of infertility is PCOS. The biggest health concerns are diabetes, heart disease, and stroke because PCOS is linked to having high blood pressure, pre-diabetes, and high cholesterol. The exact cause of PCOS has not been completely known but it appears that it must be having a number of factors on which it depends upon, such as increased level of hormones commonly known as androgens, and an irregular menstrual cycle.